According to the Mortgage Law Network, 2.8 million properties were foreclosed in 2009. Furthermore, as of January 14, 2010, a record 13% of homeowners were behind on their mortgage payments, signaling that the mortgage crisis in the U.S. is far from over. And that’s not all. Each year, many interest-only mortgages convert to amortized mortgages, meaning the borrower’s payment converts to one that is enough to pay off the loan on their home in a fixed period. Typically, that period is 30 years. As a general rule, according to the Mortgage Law Network, an interest only loan increases 15% when it converts. Borrowers unable to pay their interest only loans will certainly be unable to pay a 15% higher mortgage bill when it comes due. Not surprisingly, bankruptcies in the U.S. soared in 2009 to nearly 6,000 filings per day as of June 2009. This figure was quoted in an article in U.S. Today, which you can link here. 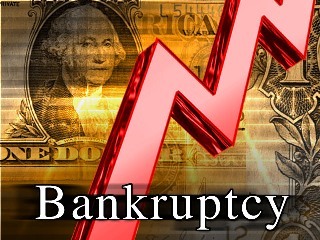 What is surprising, however, is that bankruptcies increased for the wealthy as well as the not-so-wealthy. According to the ABA Journal Law News Now, Chapter 11 filings by wealthy individuals jumped 73% in 2009. Again, experts blame the poor real estate market. For those who are interested, you can follow this link to an interactive map which shows bankruptcy filings on a per state, per capita basis. And where is the government in this financial debacle? M.I.A. President Obama laid out a plan in early 2009 that included judicial modification of mortgages in bankruptcy proceedings, but that portion of his plan went nowhere in Congress. Unless bankruptcy judges are empowered to re-write mortgages, considering the poor rate of banks actually permanently modifying mortgages under the Obama plan, then millions more homeowners are likely to lose their homes in 2010. This entry was posted in Bankruptcy, Consumer Rights, Mortgages & Debts and tagged Foreclosure, Mortgage, mortgage crisis, United States. Bookmark the permalink.